The OECD Guidelines for Multinational Enterprises are an annex to the OECD Declaration on International Investment and Multinational Enterprises. They are recommendations providing principles and standards for responsible business conduct for multinational corporations operating in or from countries adhering to the Declaration. The Guidelines are legally nonbinding, but the OECD Investment Committee and its Working Party on Responsible Business Conduct encourage implementation among adherents. Originally, the Declaration and the Guidelines were adopted by the OECD in 1976. The Guidelines were subsequently revised in 1979, 1982, 1984, 1991, 2000 and 2011. In addition, the OECD has developed specific guidance in a number of sectors to help enterprises implement the Guidelines and proactively identify risks of adverse impacts. These sectors include extractives, mineral supply chains, agricultural supply chains, garment supply chains, and the financial sector. The work of the National Contact Points in support of this is called the "proactive agenda." According to the OECD Council decision each adhering country has to set up a National Contact Point (NCP), an entity responsible for the promotion of the Guidelines on a national level. It handles all enquiries and matters related to the Guidelines in that specific country, including investigating complaints (referred to as "specific instances") about a company operating in, or headquartered in that country. Some are based in a relevant government department; some are independent structures comprising government officials, trade unions, employers unions and sometimes non-governmental organisations. In order to improve their functioning and coherence across adherent countries, the NCPs established a peer review schedule in 2016 that plans 4-6 reviews annually. The OECD Investment Committee is the primary body responsible for overseeing the functioning of the Guidelines and implementation of all OECD investment instruments. The Committee consists of member states' senior officials from treasuries, economics, trade and industry, and foreign affairs ministries and central banks. 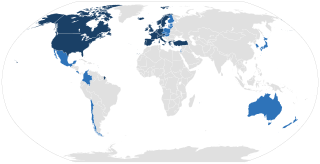 All OECD member states are members of the Investment Committee. Argentina and Brazil are observers and the 13 non-Members that have subscribed to the Declaration participate in the work of the Committee on issues related to the Guidelines. A Working Party on Responsible Business Conduct was established in 2013 as a subsidiary body of the Investment Committee to help implement the Guidelines and strengthen the system of National Contact Points. ^ "2011 Update of the OECD Guidelines for Multinational Enterprises - OECD". ^ "Sectors - Organisation for Economic Co-operation and Development". mneguidelines.oecd.org. Retrieved 2017-09-30. ^ "Guidelines for MNEs - Organisation for Economic Co-operation and Development". mneguidelines.oecd.org. Retrieved 2017-09-30. ^ "On-Line Guide to OECD Intergovernmental Activity". webnet.oecd.org. Retrieved 2017-09-30. The Trade Union Advisory Committee to the OECD (TUAC) is the interface of the Organisation for Economic Co-operation and Development (OECD) with organized labour. TUAC has 59 affiliated trade union centres in 31 OECD countries, representing more than 66 million workers. It also has associate members in Brazil, Indonesia, Russia and South Africa. Aviva Investors is an asset management company and is part of the Aviva group. It has global assets under management of over £315 billion, including equities, fixed income, investment solutions, multi-asset, and property investments. The Centre for Research on Multinational Corporations, is an independent, non-profit research and network organisation working on social, ecological and economic issues related to sustainable development. Since 1973, the organisation investigates multinational corporations and the consequences of their activities for people and the environment around the world. The Organisation for Economic Co-operation and Development is an intergovernmental economic organisation with 36 member countries, founded in 1961 to stimulate economic progress and world trade. It is a forum of countries describing themselves as committed to democracy and the market economy, providing a platform to compare policy experiences, seek answers to common problems, identify good practices and coordinate domestic and international policies of its members. Most OECD members are high-income economies with a very high Human Development Index (HDI) and are regarded as developed countries. As of 2017, the OECD member states collectively comprised 62.2% of global nominal GDP and 42.8% of global GDP at purchasing power parity. OECD is an official United Nations observer. 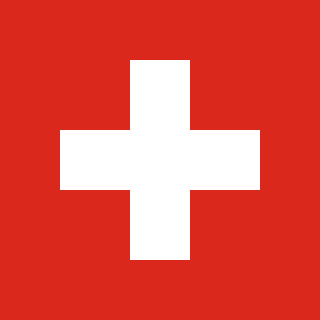 Council of Europe's Group of State Against Corruption (GRECO) in its evaluation report noted that specificities of Switzerland's institutions which enjoy considerable public confidence. It underlines, however, that the very organisation of the system allows subtle pressure to be exerted on politicians and the judiciary.